Technology is continually evolving at a rapid pace, leaving industries eager to remain ahead of the advancements that continue to redefine their respective offerings and demands. 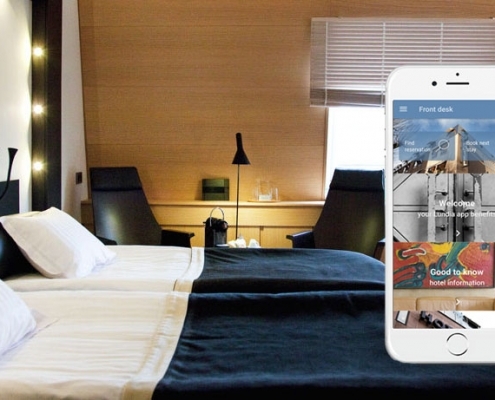 Within the hospitality industry, we see hotels investing in new technology to meet emerging guest expectations and define what the hotel room of the future looks like. 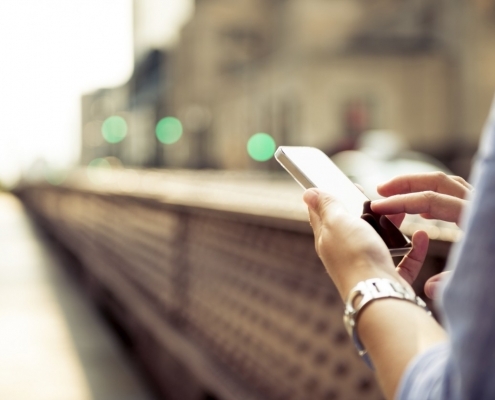 When it comes to the ongoing mobile-centric movement, most hotel services will be accessible right from the palm of guests’ hands as hoteliers seek to simplify the travel experience at every turn. 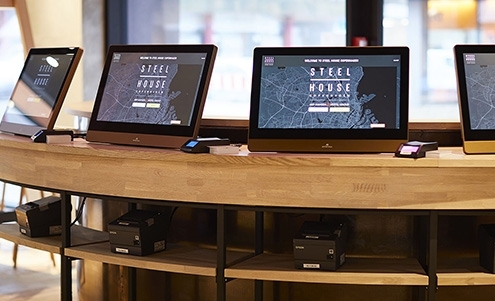 This means that many traditional and manual functions will soon be available at the touch of a screen, delivering constant connection and personalized convenience to each and every guest. Nothing can ruin a guest’s perception of your hotel, quite like the breakdown of primary touch-points, such as reservations, check-in, room keys, upgrades, and check-out. 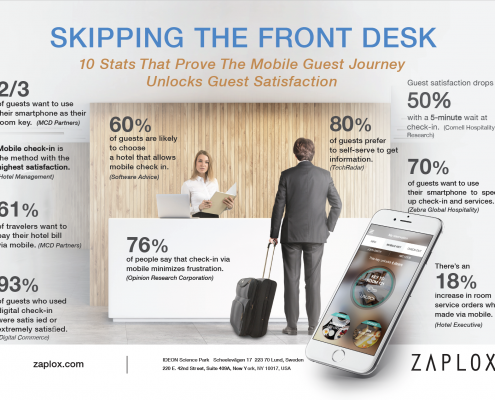 With the implementation of a mobile key technology platform, you can offer each guest a complete mobile experience. This includes reservations, pre-arrival messages, mobile check-in, mobile keys, special offers, upgrades, mobile check-out and more. 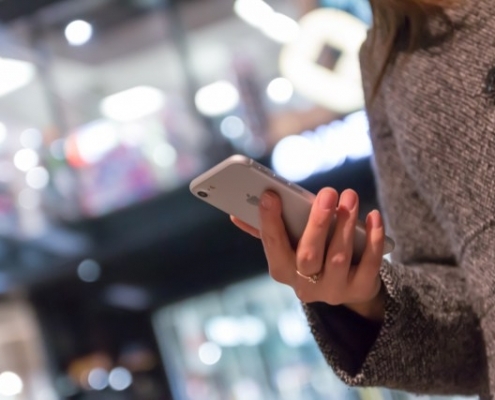 With this technology in place, you can effectively nullify the traditional hassle of front desk lines and check-in delays for a seamless arrival. Not only that, but guests can directly access their room using their smartphone, manage their rooms, view and act on special offers and upgrades based on their stay, check-out and book their next stay right from their phone. When you perfect the basics, you guest is free to view (and interact with) your hotel with a new, uninhibited perspective. Further to that, you’re also freeing your staff to invest their time in more personalized, genuine interactions with each guest. 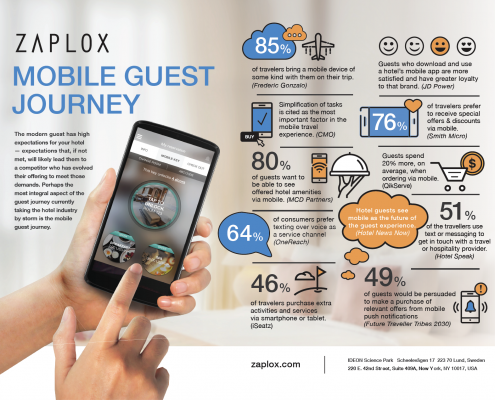 With the driving trend in hospitality innovation being the personalization of the guest experience, this capability is of incredible value to your hotel. 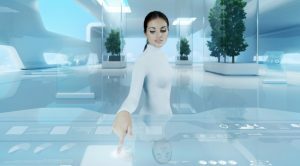 The exploration of these innovative technology applications will only further enhance the network of connected devices and capabilities in each room. With the help of mobile platforms utilized within hotels, guests will even be able to save specific preferences before an upcoming stay. For example, if a guest has a preferred room temperature or lighting setting, they can set the room to those specifications before they arrive, directly through the app. Guests can also establish voice-activated preferences for certain TV shows, channels, apps and other commands to limit time spent scrolling or searching for a specific offer or information. This technology will also ensure each guest is connected to virtual assistance 24/7 for any and all requests (alarms, room service, housekeeping services and more) by voice or app. The hotel room of the future is as intelligent and intuitive. With mobile-based innovation, hoteliers can completely transform the guest experience to be seamless, simplified, flexible and frictionless. Hotels of the future will deliver guests a personalized experience where the room knows them, and they know their room.